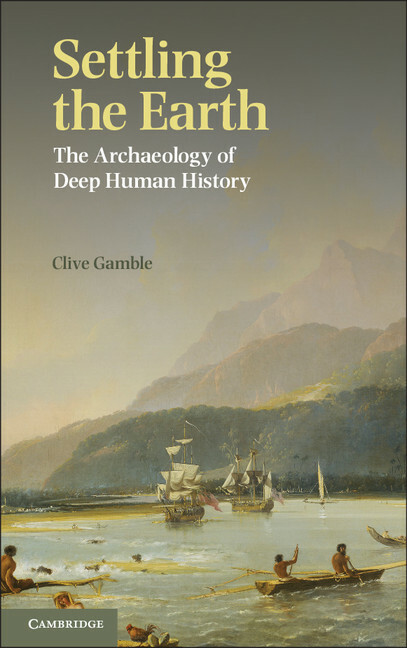 Clive Gamble, author of Settling the Earth: The Archaeology of Deep Human History, reflects on why our power to imagine was so pivotal to our evolution and global expansion. Why are we so imaginative? What possible use is there in passing through the looking-glass with Alice or supposing that the moon is inhabited by creatures with aerials growing out of their heads? These are some of the wilder flights of our imagination and not shared by everyone. But doesn’t all this fantasy complicate our lives unnecessarily? Isn’t life difficult enough without keeping track of all the characters in Game of Thrones? Wouldn’t we be better off as cold rational creatures – a world of bean counters rather than hedge fund managers? But without this capacity to take the metaphorical plunge or make the leap into the unknown, we wouldn’t be human, we wouldn’t have a shared past and, I suspect as well, that we wouldn’t be found in nearly every nook and cranny of the earth. We spend so much time in our imaginations that it must serve some evolutionary purpose. Finding out what this might be inspired me to write this book; that and a number of global journeys where I saw the archaeology at first hand. Why was it so late in deep human history that people first set foot in Australia or the New World? Moreover, why was it when Europeans got serious about charting the globe after 1492, that nearly every island, mountain range and desert had people waiting to welcome the intrepid explorers; people who had arrived there first in deep human history. But without this capacity to take the metaphorical plunge or make the leap into the unknown, we wouldn’t be human, we wouldn’t have a shared past and, I suspect as well, that we wouldn’t be found in nearly every nook and cranny of the earth. In Settling the Earth I tell the story of those true pioneers. I divide their exploits up into six worlds (I call them Terrae—Latin always adds a sense of gravitas) that are very different in shape to the planet of global humans that we know so well. The first three (Terrae 0-2) are all limited to parts of the Old World. These were inhabited for 6 million years. People then expanded about 50,000 years ago into Terra 3. This world includes for the first time Australia and the entire Western hemisphere. Only at the last moment in this 6 million year long history in Terrae 4 and 5 do we voyage out into the great oceans. How do we know this? Well the archaeology we have is both more abundant and better dated thanks to scientific advances. Studying ancient DNA and the DNA of living people has also helped trace recent movements; although how these patterns match-up with the archaeology is sometimes a head-scratcher. But what answers my question about imagination is the growth of the brain over human deep history. Big brains don’t go hand in hand with bigger Terrae. Larger brains don’t necessarily mean more intelligent people who come up with the bright idea of a boat. But they do point to more imaginative ones. And this has benefits. People are now able to remember more people in their daily social encounters. They are able to go beyond the here-and-now of social contacts to explore afterlives and imaginary worlds. Rather than being coldly rational our pioneering ancestors were warmly relational – making connections between people, places and things. It was out of that imaginative mix that looking further than the horizon became attractive. A highly developed social imagination solved the age old problem of living apart but staying in touch. And suddenly the world was at their feet.